That is a beautiful lamp. I love the design on it. I hope that you can find a shade for it. Supper sounds delicious. We are having fish again tonight. Have a great day and stay warm. I am enjoying our heat from the stoves. That lamp is so pretty. 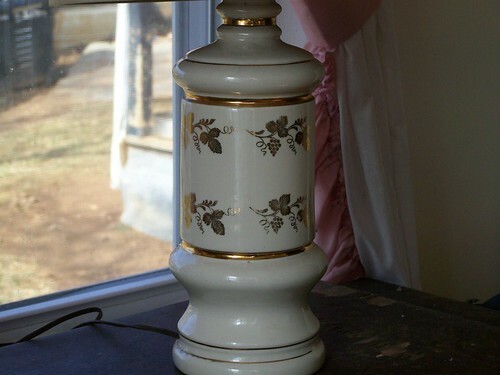 It would be really neat to find an antique shade for it. The rain is really helping. Our yard is already starting to green up. It is lovely! I hope you find a shade for it.